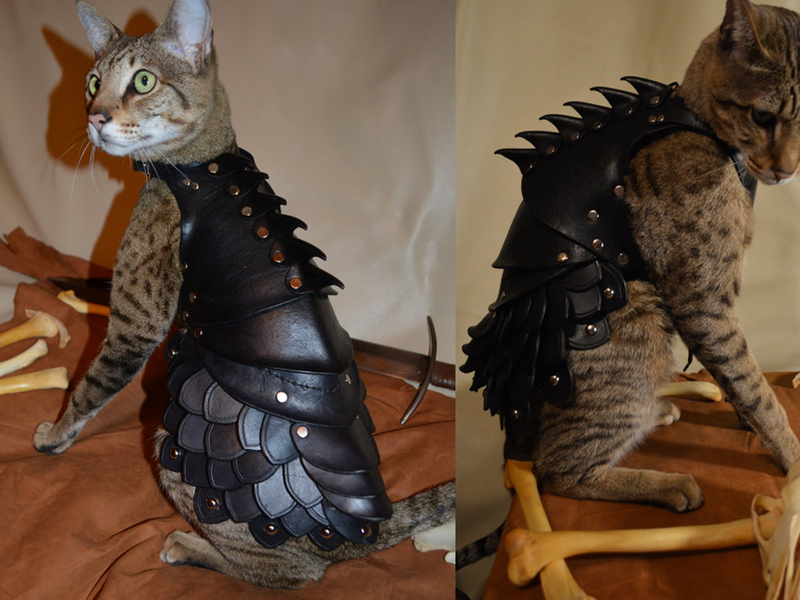 aPet lovers will appreciate the coolness of this handmade leather cat battle armor. Customers will receive a fabulous handmade leather item complete with studs and made to order. You will love how this fits your pet because each one is individually made to fit. 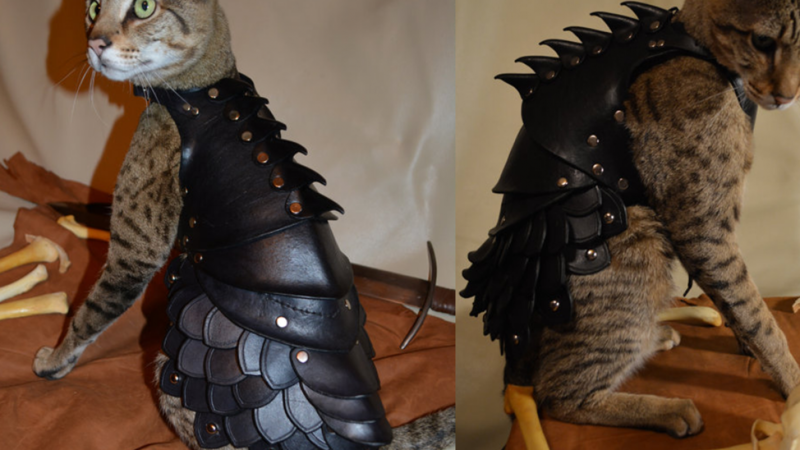 Anyone who has specific requirements is catered to by the maker so your cat will have armor that is totally unique. People who are cat lovers often like to spoil their animals. This can be done with food, bedding, cat toys or other pet luxuries. Many pet owners enjoy dressing their animals in costumes. This is a more common practice for dog owners than it is for cat owners.. Pet clothing is sometimes times used to keep a pet warm but it is also often just for fun. Pet costumes can be a very cool idea for holidays such as Halloween. Any cat dressed in armor is sure to attract attention. This costume is a novelty item and it is not intended to protect your cat it anyway. This makes Halloween the perfect occasion for your cat to wear it. This awesome suit of cat armor has been made using leather, waxed cord, nickel silver hardware and elastic. Each suit of armor is individually unique because it it handmade with attention given to every detail. If you are looking for something that is fun and cool because it is not an off the rack pet costume, here it is.